The Adventures of Fawn (The Ona Pendulum) by Al E. Boy is a children’s coming of age story that takes place after Til the Last Snowflake Falls. This is a book that would appeal most to a mixed audience of children and young teens who enjoyed Til the Last Snowflake Falls as well as those who enjoy Christmas stories. Fawn is the reindeer daughter of Comet and Vixen, who teams up with her friends, Bunny and Snowboy, once again when Santa’s very existence is threatened by an evil former elf Princess who seeks to destroy the Ona Pendulum. The Ona Pendulum is the magical item that has allowed Santa and his elves to live for centuries and without its existence, Christmas will be lost forever. Do Fawn and her friends have what it takes to save the day once more? 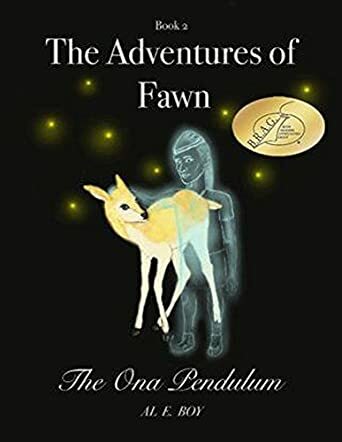 The Adventures of Fawn (The Ona Pendulum) by Al E. Boy is a well written book that I personally enjoyed more than the Rudolph story as the main character is a young female reindeer and the story line is longer and more attention grabbing. I did find myself missing out on some understanding of the characters and some of their conversations due to the fact that I did not read book one first, but those occasions were few and did not detract from my enjoyment of this story at all. Fawn was easily my favorite character with her willingness to embark on an adventure to save Santa, the elves, and Christmas. Overall, I enjoyed this book and when I finished it I was left with a desire to read book 3. This would be a great book to read aloud with one's family during Christmas as it will keep children entertained and adults will enjoy its uniqueness.